The Specialissima was born in 1956, when the Bianchi team already had quite an award collection and Fausto Coppi – whose name would forever be connected to the company – already had several Giro d’Italia and Tour de France victories. 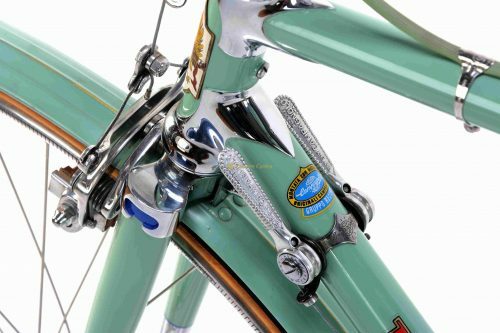 Throughout the 1960s, the Specialissima – replacing the famous “Campione del Mondo” model, similar in the frame profile but different in the components – it was build with Campagnolo Record 1st gen groupset which was ahead of the time back in the days. The Bianchi Specialissima is defined by a superlative that shamelessly boasts a desire to win, to dominate the dreams of cyclists and fans of the professional cycling. In years 1960-1964, Bianchi returned to the pro peloton as main sponsor of the BIANCHI Team . The team was continuation of the BIANCHI Pirelli Team. The entire team was using Bianchi Specialissima bikes, very similar to the bikes we are presenting here. 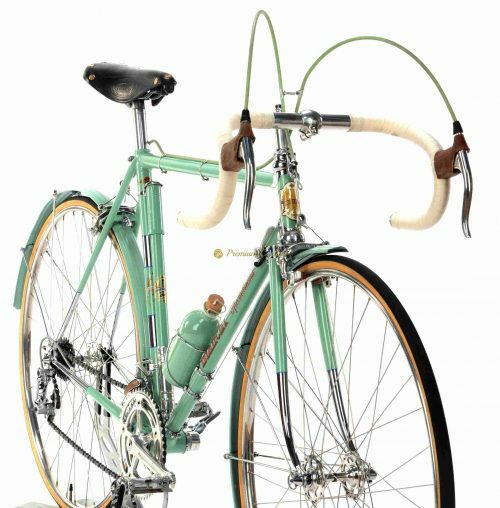 Proudly presenting this legendary Bianchi‘s top class racing machine, the Specialissima 1960s. Extraordinary details makes you understand that Edoardo Bianchi was a medical tool engineer, before he started with bike manufacturing: beautiful lugs, pin for lubricating the integrated headset, chainset tubing among the others… The cheery on the top of the cake are the parts: Campagnolo Record 1st gen groupset in outstanding condition with Universal 61 brakes, Ambrosio Champion cockpit, NiSi rims, Fox Italia saddle and original Bianchi fenders makes it perfect in every single detail. 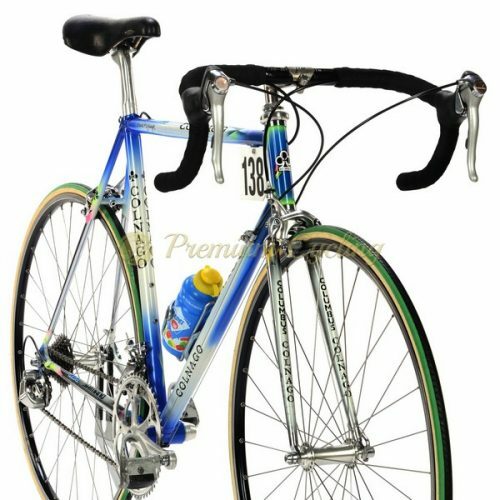 The bike was completely restored and build with maniac attention for perfect and correct parts The restoring and searching for the right correct parts took a ferw years (extremely rare parts like 1959 Campagnolo Record crank and front derailleur, new old stock Bianchi cable housing and bar ends, etc…). Condition: Frame was re-chromed and refubrished by professional guy. Fenders are original with original paint. The frame has no cracks, no dents, not bent. A lot of new old stock parts. The bike looks like it just came out of the factory.